"But there have been too many instances during the course of my presidency, where I've had to comfort families who have lost somebody. Most recently out in Aurora. You know, just a couple of weeks ago, actually, probably about a month, I saw a mother, who I had met at the bedside of her son, who had been shot in that theater. And her son had been shot through the head. And we spent some time, and we said a prayer and, remarkably, about two months later, this young man and his mom showed up, and he looked unbelievable, good as new." Actors usually do look "good as new" once the fake wounds and stage blood are wiped away! However, I'm willing to bet Mr. Barry never really ventured out to meet this alleged vicsim since he never existed in the first place. What a joke! "On the website of Berns' lawfirm it boasts of having secured in excess of $3 billion in settlements and awards since 2000. Bern's high-powered law firm helped reach an $816.5 million settlement for first-responders to the Sept. 11 terrorist attacks." I hope they don't plan on forcing people to sit in on their awful movies by threat of gun point, because Hollywood is just getting more and more awful and unpalatable. Good find about a lawsuit connection to 9/11 - that kind of connection will make any story stink to high heaven. It should be clear now to "any thinking persons", to quote Simon, that this is a completely bogus event with the usual gang involved. It looks like the defense atty. from the Casey Anthony trial is moving on to represent some of the folks from the Colorado shooting. Oh look -- a name from the past, Kenneth Feinberg, has a new task. Volunteer work to boot. "The mediator who oversaw compensation for victims of the Sept. 11 attacks will oversee the distribution of money donated to the victims of the deadly shooting at a suburban Denver movie theater, Gov. John Hickenlooper said Friday." "Feinberg said he would apply the lessons he's learned from overseeing compensation for victims of the 9/11 attacks, the Virginia Tech shooting and the BP oil spill." 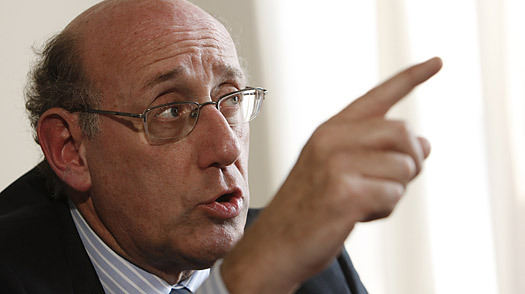 Libero wrote: Oh look -- a name from the past, Kenneth Feinberg, has a new task. Volunteer work to boot. Oh - allright, good 'ol "pay czar" Kenneth is 'volunteering' his services again, is he?... No surprise there, folks. There are several videos on Youtube, I checked earlier. But it is a dodgy photo, the blurry hand has been shopped for sure, and some work was done on the rest. "Born Oct. 23, 1945, in Brockton, Mass., Feinberg, now 63, earned a degree in history from the University of Massachusetts, where he became involved in theater and briefly considered a career as an actor." Does that make sense? I submit that these 'prominent personnages' we keep hearing about in the context of psyops such as 9/11 and the like are nothing but actors cast in different roles, upholding a scripted, theatrical 'reality show' of sorts. Minor roles in this grand reality show are played by lesser talents such as Bob McIlvaine, Ellen Mariani and Donna Marsh O'Connor, while more demanding roles are casted to more 'flamboyant' actors such as Feinberg and Lutnick. I really don't think we should confuse the totally fictitious, digital vicsims of these psyops with the aforementioned individuals. I have been thinking that Hollywood would be a great place for psychopaths to hide undetected. As psychopaths have no ability to feel guilt, shame or concern for others and have to learn to mimic these traits to feign empathy and the like, acting seems like a perfect fit. The big money roles don't necessarily have to be in movies, they could be in television news shows. 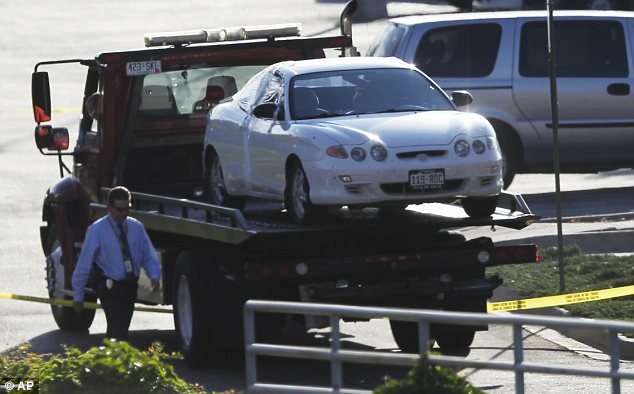 A pen pal of mine just pointed out "James Holmes' car's" number plate... "119 ROC"
Caption: "Evidence: The car was impounded by officials after being abandoned in the parking lot of the theatre." brianv wrote: ^ Which state? Is it kosher? sorry using crap laptop! The tow truck carrying the car, of course has to have a license plate that adds up to 9 as well. The details on both license plates are Sharpen Tool'd and were added into the image.